​Pilgrimage is an important part of Christian spirituality. In England, we had many such pilgrimage routes, and one of these was between Chester and Lichfield. In each of these cities there was the resting place of a renowned saint. In Chester, it was St Werburgh, and in Lichfield it was St Chad. Although after the 16th Century this pilgrimage route fell into disuse, in 2012 it was revived as 'The Two Saints Way' pilgrimage route. 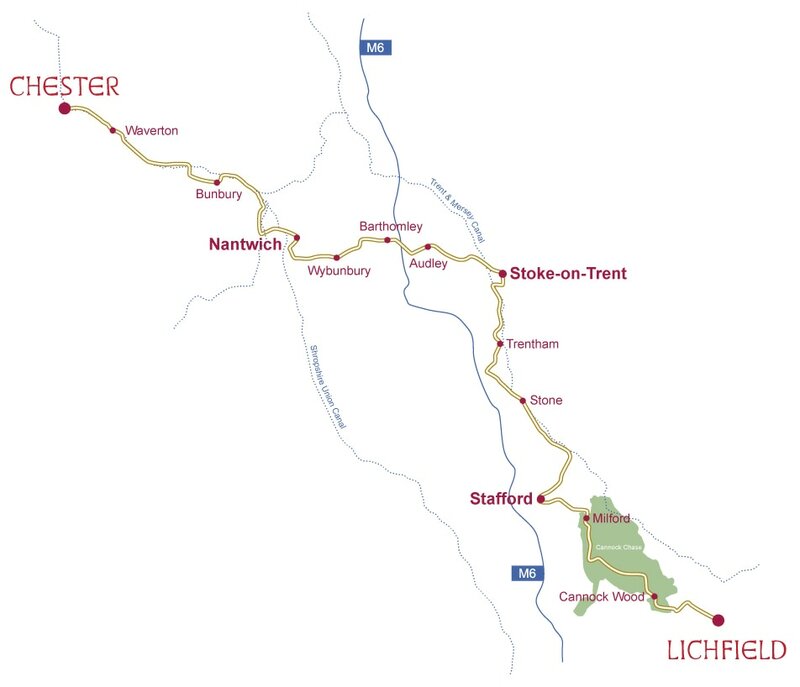 The route can be taken either by starting in Lichfield and finishing in Chester, or vice versa. St Chad's Church is priviledged to be at the beginning and end of the pilgrimage route (depending on where you start). This is due to both its historical connections with St Chad himself, and its historic well, which was known for its healing properties. In 2016, Bishop Michael Ipgrave, the current bishop of Lichfield, walked part of the Two Saints Way as part of his preparations for becoming the bishop. He culminated his pilgrimage at St Chad's with a renewal of baptism vows around the Well, in an ecumenical service. The video below shows part of this pilgrimage. The service at St Chad's can be seen 6 minutes and 20 seconds into the video.